Nagarajan, S., Steephen, M., Murugan, K., Raveendran Nair, R., Sethuraman, T., Alagar, P., Ganesh, D. (2011). Improved protocol for isolation of genomic DNA from leaf tissues of Phyllanthus emblica Gaertn. Iranian Journal of Biotechnology, 9(4), 307-313. Sangeetha Nagarajan Nagarajan; Mercy Steephen; Kavitha Murugan; Rahul Raveendran Nair; Thilaga Sethuraman; Parameswari Alagar Alagar; Doss Ganesh. "Improved protocol for isolation of genomic DNA from leaf tissues of Phyllanthus emblica Gaertn". 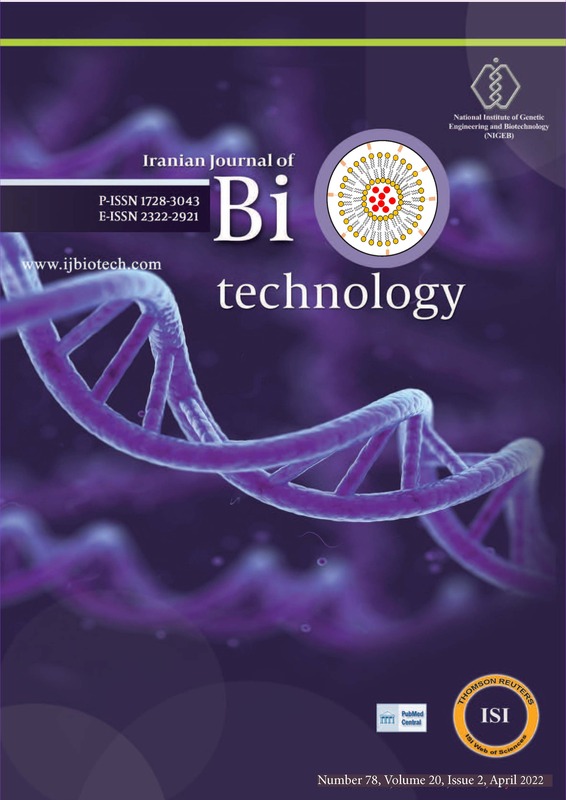 Iranian Journal of Biotechnology, 9, 4, 2011, 307-313. Nagarajan, S., Steephen, M., Murugan, K., Raveendran Nair, R., Sethuraman, T., Alagar, P., Ganesh, D. (2011). 'Improved protocol for isolation of genomic DNA from leaf tissues of Phyllanthus emblica Gaertn', Iranian Journal of Biotechnology, 9(4), pp. 307-313. Nagarajan, S., Steephen, M., Murugan, K., Raveendran Nair, R., Sethuraman, T., Alagar, P., Ganesh, D. Improved protocol for isolation of genomic DNA from leaf tissues of Phyllanthus emblica Gaertn. Iranian Journal of Biotechnology, 2011; 9(4): 307-313. 1Department of Biotechnology, Plant Genetic Improvement Laboratory, Sri Paramakalyani Centre for Environmental Sciences, Manonmaniam Sundaranar University, Alwarkurichi 627 412, Tirunelveli District, Tamilnadu, India. 21Department of Biotechnology, Plant Genetic Improvement Laboratory, Sri Paramakalyani Centre for Environmental Sciences, Manonmaniam Sundaranar University, Alwarkurichi 627 412, Tirunelveli District, Tamilnadu, India. 3Department of Plant Biotechnology, School of Biotechnology, Madurai Kamarai University, Palkalainagar, Madurai 625 021, India. were analyzed for yield and quality of DNA. Acidity was determined in three different maturity of leaves viz.